The late Fr Alexander Schmemann said that we praise men for doing for the Church what we would condemn if they did for themselves. This is certainly the case when it comes the Church’s financial life. “Father,” I’ve heard more than once, “the Church needs money.” Yes, it does. But too frequently this is simply a justification for whatever scheme being floated. We, like ever generation, will make our own mistakes in matters pertaining to the Church’s property. But without a critical, holistic, analysis of property in the moral tradition of the Church, we risk subverting Jesus’ words to us; we must be in the world but not of the world (see John 17:16-26). Church history counsels caution AND hope as we reflect on how the Church can manage the material blessings God has poured out. Toward the end of Through the Eye of A Needle: Wealth, the Fall of Rome, and the Making of Christianity in the West, 350-550 AD, Peter Brown writes that “Long after the empire vanished, fiscal privileges inherited from imperial times and renewed by local kings remained crucial to the social position of the churches.” The conclusion Brown draws from this is important. “Landed wealth, in and of itself, was not enough” (p. 496). Though the dioceses and monastic communities had by the end 6th century in the aggregate amassed a great deal of wealth, what mattered most was the ability of Church leaders—clerical and lay—to use that wealth in a manner consonant (or sadly not) with the Gospel. Brown’s work suggests that it is because of what today we call “property rights” that the Church was able to succeed in its evangelical and pastoral mission. No matter how carefully it is expressed, some think that this assertion borders on the heretical. And yet because the Church is both a human and divine institution, we can’t remain indifferent to the moral questions surrounding the ecclesiastical ownership of property. Moreover, our concern with property rights and responsibilities has implications for how we understand Creation and the acquisition and use of wealth that emerges from human development of the material world. Finally, though the Church is not of the world it is still in the world. This means that there are all legal and practical questions that need to be examined, If I may venture a psychological hypothesis, I think the discomfort with the legal and practical dimension of wealth that causes some to minimize—and even dismiss—the importance of property rights in the Church’s moral tradition and pastoral life. Church of the Holy Wisdom” (“Hagia Sophia”), built by the Emperor Justinian I, 6th century. Brown argues, the ability of bishops (or their agents, clerical and lay) to navigate the legal and economic complexities pertaining to the property contributed greatly to the growth of the Church. The material wealth and property of the Church weren’t “taken for granted” by the bishops. Instead, they “fought for” their rights under secular law. “From the mid-fifth century onward, ecclesiastical defensores—lawyers skilled in defending the interests of the church—make their appearance in ever greater numbers.” Far from being mere adjuncts to the life of the diocese, they “emerged as the right-hand men of the bishops” defending the Church’s property against legal claims brought “by angry family members” in the case of bequests, “against fiscal agents” of the local nobility in search of increased revenues, “and against rapacious neighbors” who simply want to take the Church’s property for themselves (p. 496). All of these factors lead to “the emergence of a new figure in the landscape of wealth…’the managerial bishop'” (p. 497), Like in the secular realm, this was not a ministry for which all bishops were equally qualified. Some bishops were simply too good-natured for the task. Brown quotes a letter from Pope Pelagius I (556-61) in which the Roman pontiff calls for the resignation of the bishop of Narni. For the gentleness which goes with such inborn simplicity as his cannot govern the patrimony of the church. He cannot stand up to the city councilors in matters of taxation, nor can he get himself involved in the troublesome business of hounding those who retain ecclesiastical properties (quoted in Brown, p. 497). With the growth of the Church’s wealth, there came a need for a different style of “apologetics” in the form of the defensores. The Church needed to make then, as it does today, a legal case for how it would proclaim the Gospel in and through its use of the material world. Together with new apologetics, new challenges to the Gospel also called for a new form of sanctity. In the late 5th century there arose to new prominence Christians who were able to oversee the prudential and just stewardship of the Church’s growing wealth. For all the spiritual and temporal benefits that came with the change in the Church’s economic status, there were still real moral problems. “To emphasize the relative novelty of the … managerial bishop is not to claim that ecclesiastical landownership was [necessarily] in any way qualitatively different from that of the lay world” in terms of “the gentleness and honesty of its day-to-day management or its economic success.” Princes as well as churchmen both “attempted in their high-handed manner to make the best they could of difficult times” (p. 498). We can’t avoid the moral and practical complexities that come the Church’s economic status by simply rejecting property or wealth. As I suggested a moment ago, such a rejection fails to take seriously the human nature of the Church and our call to be in the world but not of it. Just as we can’t do away with property neither can we artificially or ideologically limit our reflections on its acquisition and use. 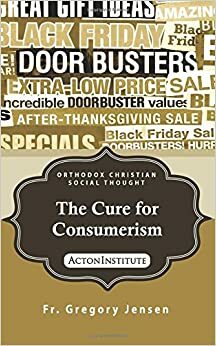 It isn’t sufficient to speak about the moral limits of property, its acquisition and its use without also looking at what, as a matter of law, is required for the Church. We must also reflect on what it means for the Church to own property in a free market economy. This why it is important that we not simply accept property as a blessing but as a call from God to reflect critically on the moral, legal and economic nature of property.